Lubuntu Zesty Zapus Beta 1 has been released! Lubuntu Zesty Zapus Beta 1 (soon to be 17.04) has been released! Lubuntu 16.04.2 Has Been Released! Thanks to all the hard work from our contributors, we are pleased to announce that Lubuntu 16.04.2 LTS has been released! Thanks to all the hard work from our contributors, Lubuntu 16.10 has been released! 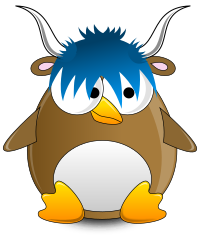 With the codename Yakkety Yak, Lubuntu 16.10 is the 11th release of Lubuntu, with support until July 2017. We even have Lenny the Lubuntu mascot dressed up for the occasion! Lubuntu Yakkety Yak 16.10 Beta 2 released! kernels popping in at the last minute and causing all sorts of havoc. find out more information about the release is the Release Notes. stuff while you test. You don’t have to be a computer whiz kid, either. Lubuntu Yakkety Yak Beta 1 has been released! Lubuntu Yakkety Yak Beta 1 (soon to be 16.10) has been released! We need your input on Lubuntu image sizes! This has been extended to 30 August 2016 at 19 UTC. The Lubuntu team needs your feedback! We would like to get your input on a poll we have created to gauge your usage of the Lubuntu images. Your feedback is essential in making sure we make the right decision going forward! The poll closes on 26 August 2016 at 19 UTC, so please get your feedback in before then! Lubuntu 14.04.5 LTS has been released! The latest and last point release of the Lubuntu Trusty Tahr LTS, 14.04.5, is now available for download. This release includes images for amd64 (commonly referred to as 64-bit), i386 (commonly referred to as 32-bit), and PowerPC. Please read the release notes, which covers the latest update as well as the whole history of the release. Additionally, you can download the images from the Ubuntu cdimage server. Just note that we have a bug affecting PowerPC that affects installing Lubuntu alongside another operating system. More details are in the release notes.